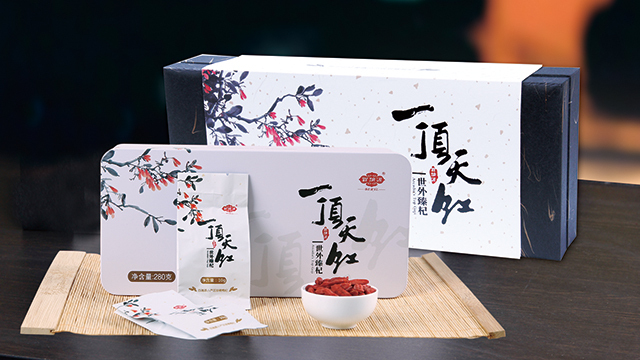 Just in the past 2017, what happened in Ningxia Goji Berry leading brand----Bairuiyuan, what good news harvested, and will lead the Ningxia Goji Berry industry to a new level. Through the 19 memorabilia of 2017, we challenge to 2018 new heights. 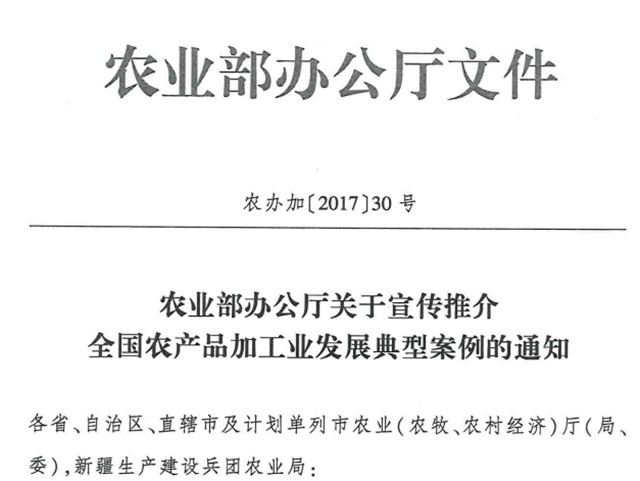 On February 12, 2017, organized by Ningxia Food Testing Center, Bairuiyuan as Ningxia goji berry food safety local standard jury members involved in the formulation of "food safety local standard goji berry" on June 1, 2017 came into effect. 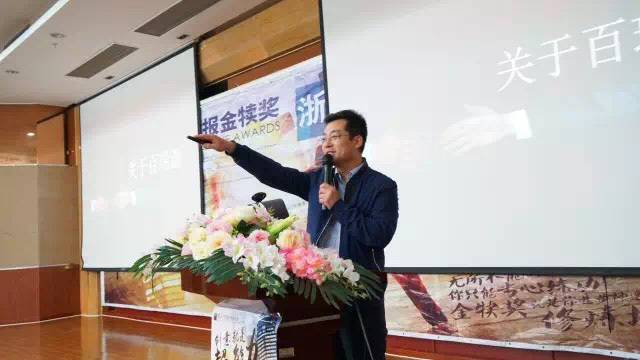 On February 26, 2017 China's Edible Homer, Farmer and Merchant Annual Meeting ("China's 3 Biggest Annual Meeting"), Bairuiyuan won the first "China Agricultural Innovation Brand Award 2017" in the Chinese goji berry industry. 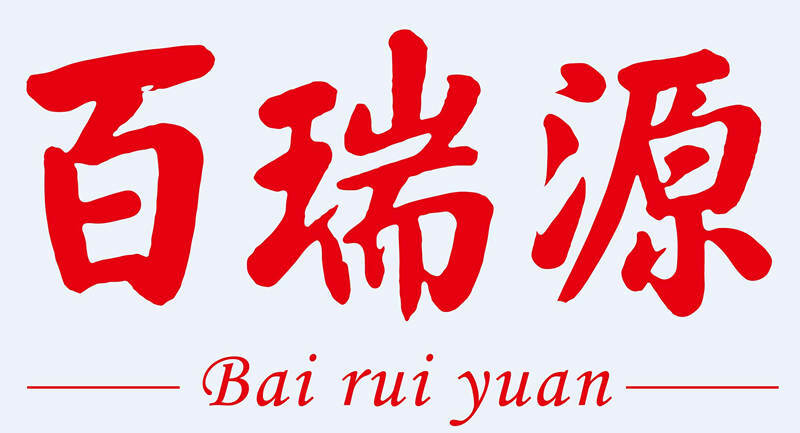 Since March 4, 2017, Bairuiyuan together with the 26th Times Golden Calf Award started from Tsinghua University, one after another into 22 colleges and universities in Hubei, Zhejiang, Liaoning, Shaanxi, Macao and Hong Kong, Students share the "Bairuiyuan goji berry, good goji berry can be a little more expensive" brand story. 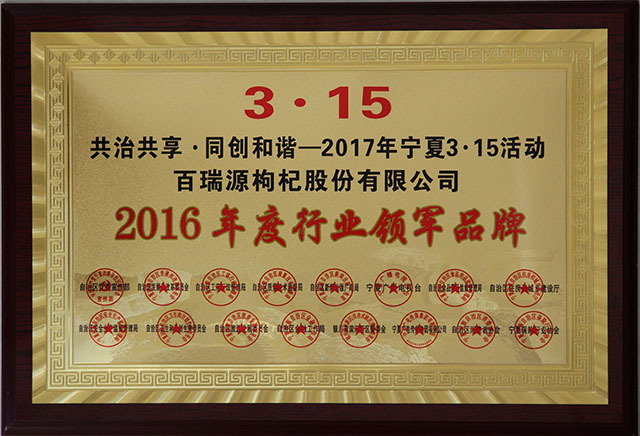 On March 15, 2017, on the day of Consumer Rights and Interests, Bairuiyuan became the only company in Ningxia goji berry industry to win the title of "Leading Brand in Chinese goji berry Industry" and won the honor of four sessions. 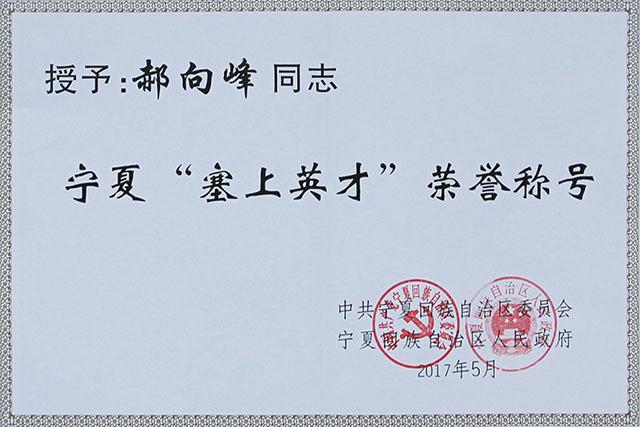 On April 25, 2017, in Ningxia Hui Autonomous Region celebrating May Day International Labor Day Awards, Chairman Xian Hui presented "Autonomous May 1 Labor Certificates" to Mr. Hao Xiangfeng, Chairman of Bairuiyuan. 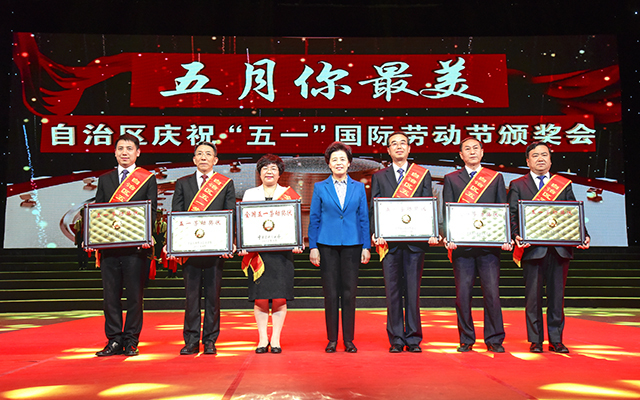 On May 18, 2017, the party committee and government of the autonomous region decided to award honorary titles such as "Excellent Talents" to 19 gay Autonomous Regions including Mr. Hao Xiangfeng, Chairman of Bairuiyuan. 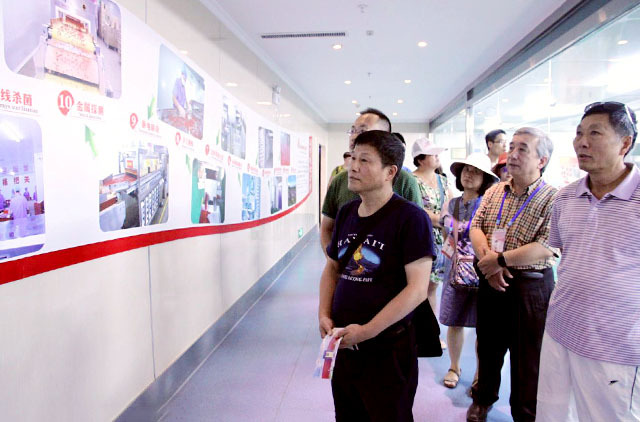 On June 1, 2017, in order to help the immigrant village get out of poverty as soon as possible, Bairuiyuan United Nations Yuan Securities listed on the "Bairuiyuan Hope Primary School" at Dahe Central Primary School, Dahe Township, Hongsipu District, Ningxia. On the same day, [Bairuiyuan love shack"listed in Zhongning County. On July 20, 2017, the People's Daily, the Central Broadcasting Network and other mainstream media interviews went to Bairuiyuan to report on the "Five in One" whole-industry chain model of Bairuiyuan and drive cases of farmers planting wolfberry to get rid of poverty. 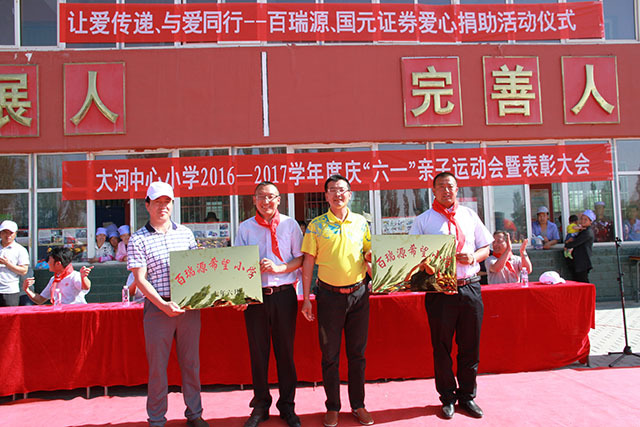 August 22, 2017, Ningxia Hui Autonomous Region from the Department of Agriculture and Animal Husbandry to the Bairuiyuan Gouqi Corp awarded "Ningxia well-known agricultural enterprises brand." 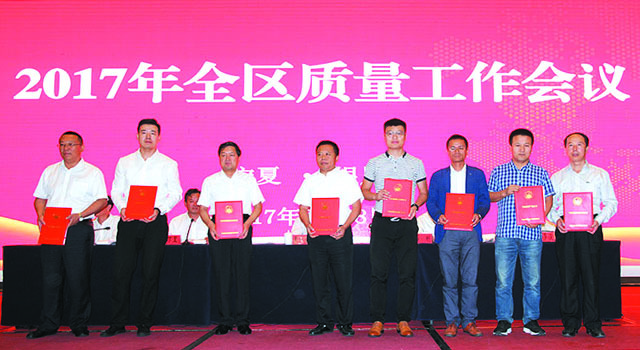 On the afternoon of August 28, 2017, Wang Heshan, Vice Chairman of the Autonomous Region Government, presented "Ningxia Top Brand Products" to Bairuiyuan on the "2017 Quality Work Conference". On September 4, 2017, at the ninth banquet hosted by the BRICS leaders in Xiamen, Bai ruiyuan goji berry became the only Chinese goji berry brand in the Chinese goji berry industry to honor the banquet table. On October 16, the BRICS leader Xiamen Meeting Group sent a letter of thanks to Bairuiyuan for "extraordinary significance." 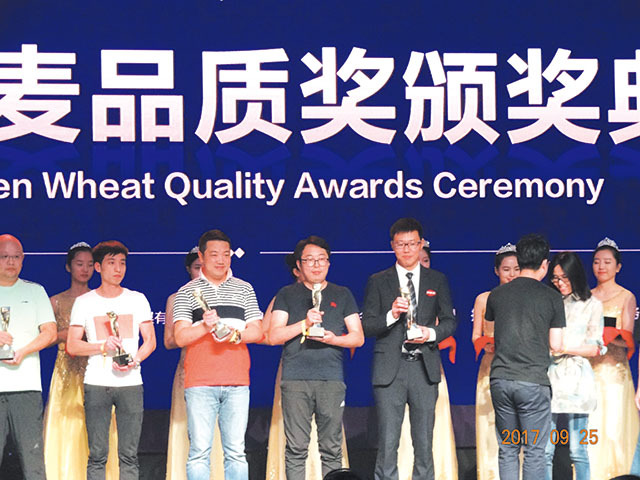 On September 25, 2017, on "Oscars" of the E-commerce Industry----golden wheat quality award ceremony, Bairuiyuan won the "golden wheat quality award" medicine and health products category awards. 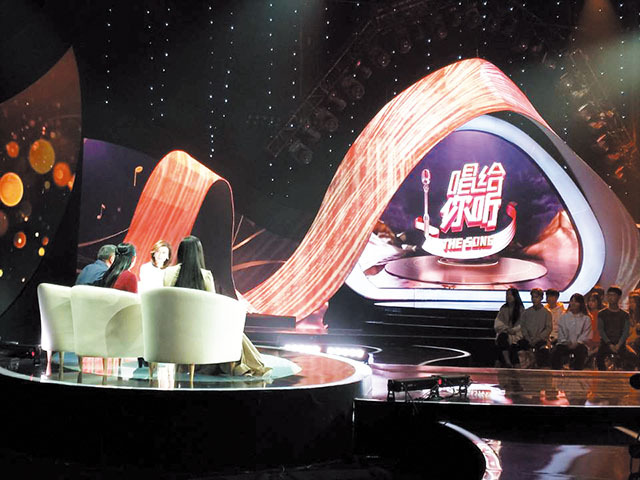 From October 18 to October 20, 2017, Mr. Hao Xiangfeng, Chairman of Bairuiyuan, and Ms. Hao Xiaoqin, General Manager, were invited to go to "CCTV4" for "Farmers to Get Out of Poverty" Record the scene, tell a story behind a good goji berry. 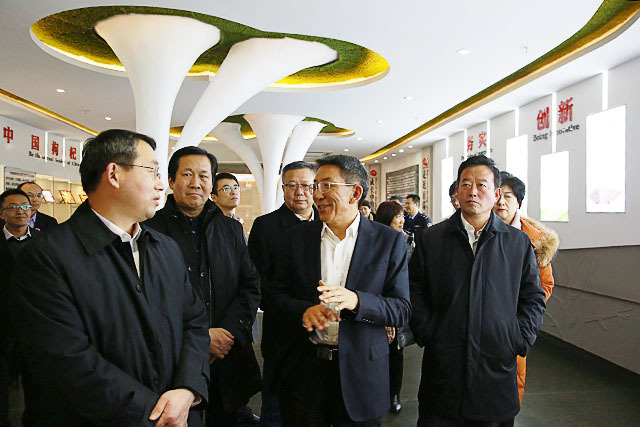 15 [Keywords] Shi Taifeng visited Bairuiyuan Gouqi Corp.
On November 23, 2017, Shi Taifeng, secretary of the party committee and chairman of the NPC Standing Committee of Ningxia Hui Autonomous Region, visited and investigated the achievements of Bairuiyuan, accompanied by Jiang Zhigang, deputy secretary of the Party Committee of the autonomous region, Zhang Chaochao, standing member of the Party Committee and executive vice chairman of the autonomous region, accompanied by Ji Zheng, Co., Ltd.
On November 11st, 2017, Bairuiyuan goji berry sales 16 million RMB, once again become the first of the entire network sales of Chinese goji berry brand. 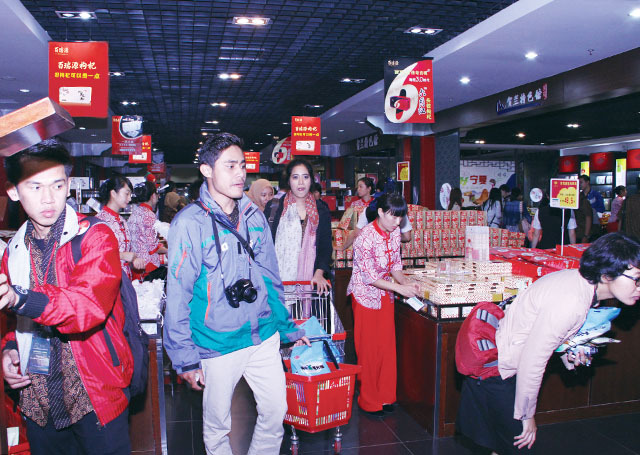 On November 7, 2017, Ningxia first overseas tourists shopping departure tax rebate business successfully handled. 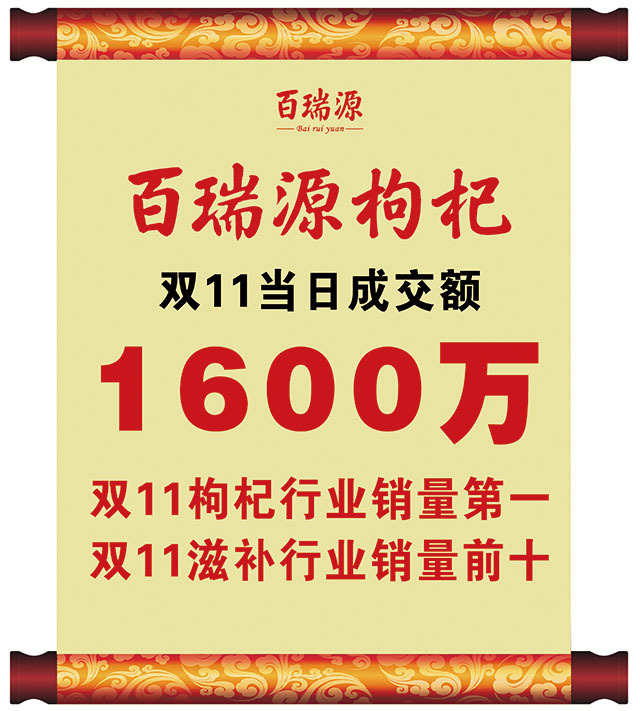 Bairuiyuan Ningxia goji berry industry as the only one with tax rebate eligible enterprises to achieve Ningxia first tax rebate business. 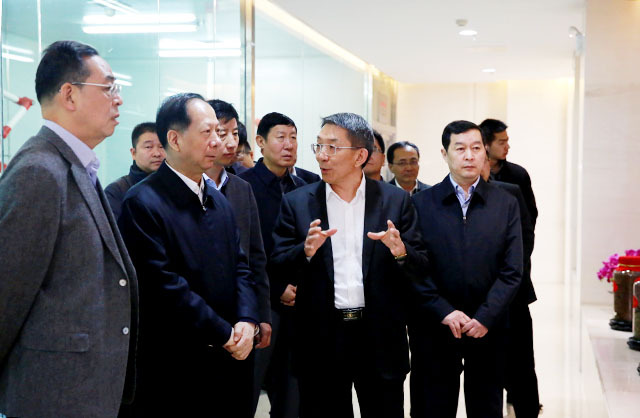 On the afternoon of December 20, 2017, the State Council Quality Work Assessment Team and his entourage investigated and researched the quality and safety work of Bairuiyuan accompanied by leaders of Regional Bureau of Quality Supervision, including Luo Wanli and Director Pan Duojun. 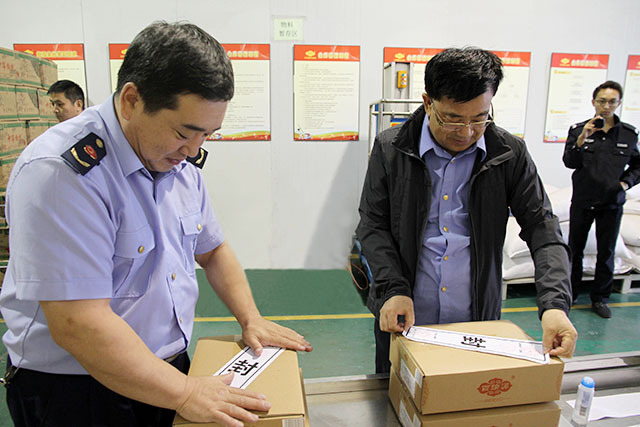 Through the construction of product quality traceability system, To create the safety of the tongue to the field, has been fully affirmed and highly praised research group and his party. 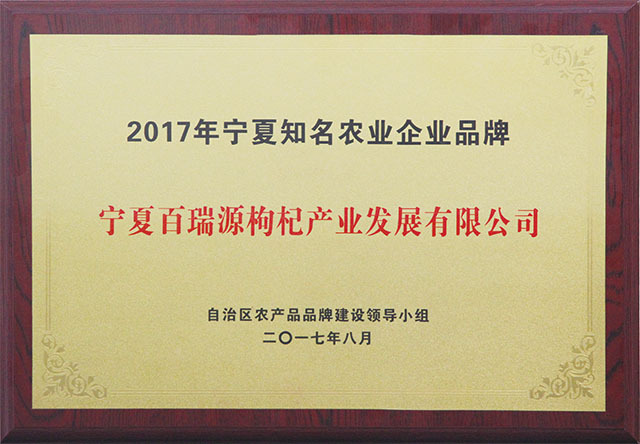 On December 18, 2017, Bairuiyuan was selected as the typical representative of the Ministry of Agriculture due to its strong brand and exemplary motivation. 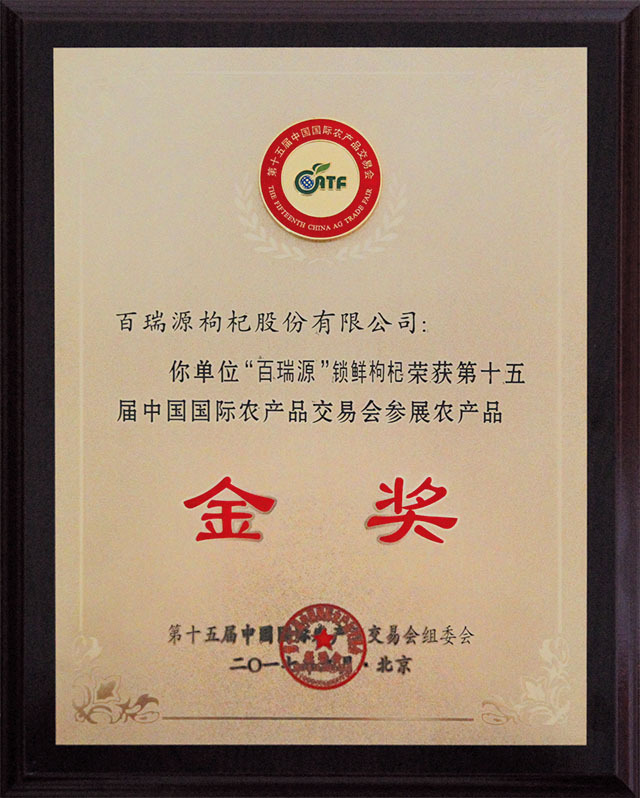 Bairuiyuan, as the only typical representative of "one company, one industry" in the Chinese goji berry industry, was selected.